The London Film Festival always has a fantastically diverse range of films screening and this year there were two documentaries about David Lynch being shown - Blue Velvet Revisited and David Lynch The Art Life. One was shot 30 years ago during the making of Blue Velvet when Lynch was a young and immensely enthusiastic filmmaker, the other shot within the last 3 years focusing on David Lynch the artist and reflecting back on his early life now that he is in his 70s. They contrast in tone and style yet both offer the viewer a thoughtful insight into the film icon and slightly more understanding of his influences and outlook on the world around him, although Lynch still remains highly enigmatic. 30 years ago at the age of 24, Peter Braatz received a letter from David Lynch simply stating "Dear Peter, I am interested. Signed David Lynch". Peter had asked permission to travel to LA and film a behind the scenes observation of the making of Blue Velvet on his Super-8 camera. All these years later and the footage has been edited together with memorable graphics and a wonderful soundtrack from Crammed Discs, resulting in a meditative experience and peek at the production of what has become known as Lynch's masterpiece. I was naieve to believe this would be a typical behind the scenes making of documentary. Far from it. 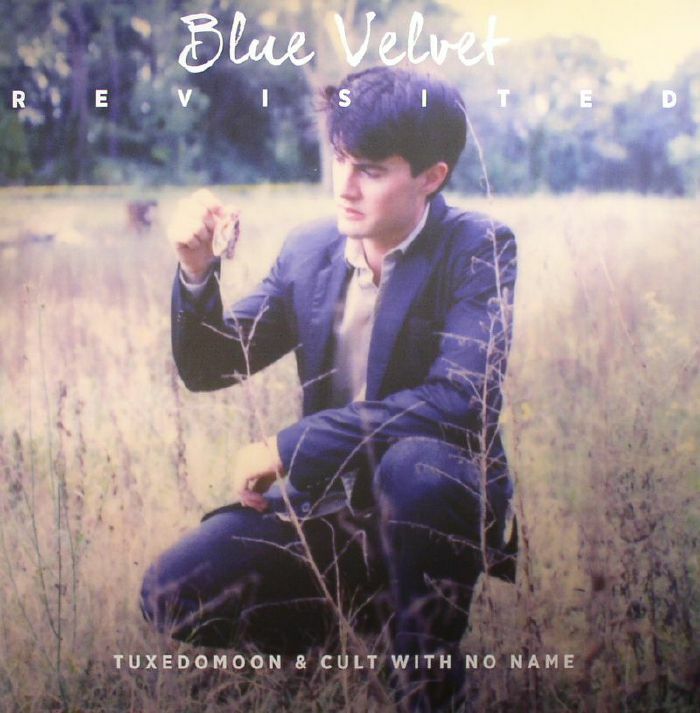 Blue Velvet Revisited is a poetic memory of a time, a transcendental observation of Peter's experiences on the set. There is enough interview with Lynch to give the viewer an insight into the director's style of working and enthusiasm about the project whilst remaining completely fascinating and mysterious. An experience for the super fans and those who appreciate Lynch's art. 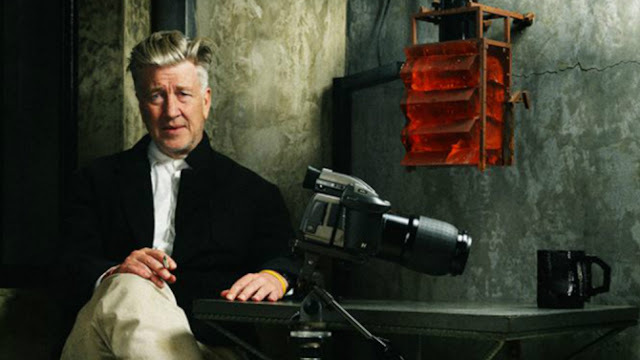 Over a period of 2 and a half years filmmaker Jon Nguyen shot Lynch working away in his studio in LA and conducted a series of interviews in which Lynch reflects on his life from early childhood up until he received the grant that allowed him to begin production on Eraserhead. The stories Lynch tells are brought to life by his paintings, sculptures and photographs which are used to illustrate his words. It is very interesting to focus on Lynch's artwork as opposed to continuously reading into his films. And it is clear that much of what he produces takes inspiration from everything he has personally experienced throughout his life. He clearly sees himself first and foremost as an artist and is at his most content experimenting in his studio, drinking coffee and smoking cigarettes. Lynch has often been misunderstood, including by his own parents, due to his obsession with subjects and materials which most consider particularly dark: death, decay and obscurity. But I feel he actually looks at life in a more straight forward manner than one would assume. He does not shy away from the juxtapositions we face daily between the natural beauty and wonder of the world, and the extreme torment, bleakness and tragedy that can also haunt us. This is evident in his artwork, films and the experiences that are most memorable to him. Touchingly, the film is dedicated to Lynch's toddler daughter Lula who is shown sitting with her father and painting by his side. The stories that will be left behind in David Lynch The Art Life form some of the most intimate interviews given by Lynch and will I'm sure allow Lula to understand her father's life before she was brought into it. A fascinating examination of an artist and a must see for all Lynch fanatics. What Is A Twin Peaks Blue Rose? 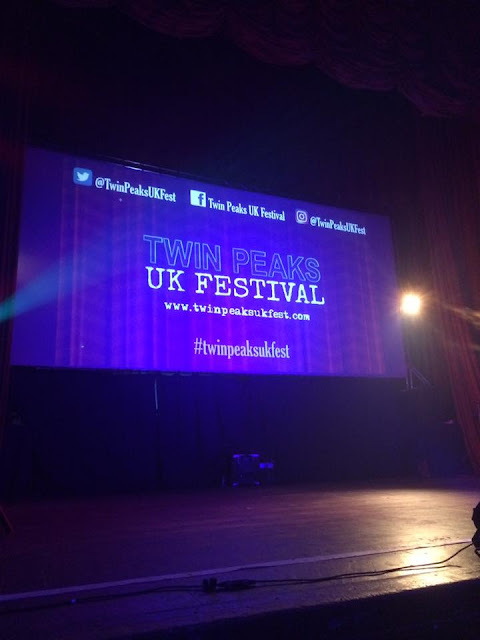 How To Host A Twin Peaks Party! Don't Miss A Post - Follow The Blue Rose Blog by Email! © 2015 Ishbel Beeson. Simple theme. Theme images by Jason Morrow. Powered by Blogger.